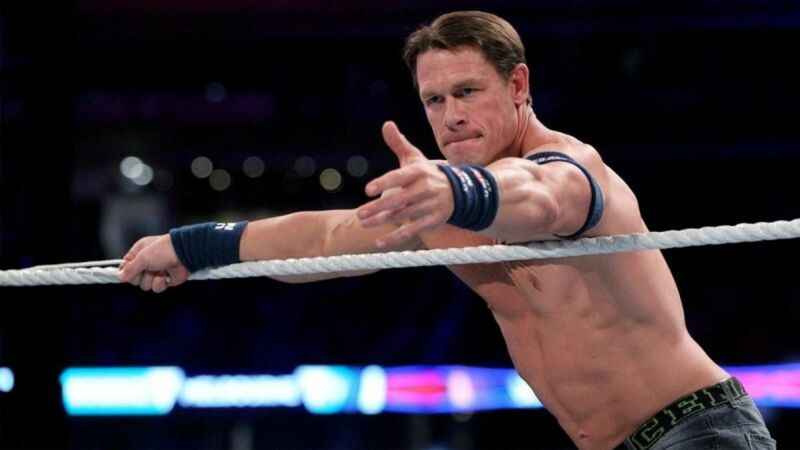 John Cena may be out of the Royal Rumble after WWE.com ran a story saying that his status was 'in question' for the Royal Rumble match on Sunday. The article said that Cena injured his left ankle during last week’s fatal four way match on Raw that determined Brock Lesnar’s new opponent for the Royal Rumble. It suggests that the injury occurred when Drew McIntyre put Cena in an ankle lock. He was noticeably limping after the match had ended. The article later metnioned that he had exacerbated a leg injury earlier today while training his legs in the gym and that his status for the Royal Rumble match was now cast in dobut. Cena did not appear on Raw. The fatal four way match was made when Braun Strowman, in storyline, turned over Vince McMahon’s limo which caused McMahon to punish him by taking away his title match. Finn Balor then won the fatal four way, pinning Cena with the coup de grace.